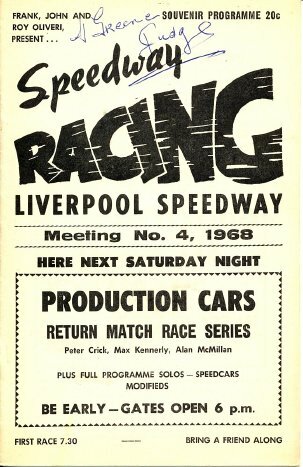 A large range of Liverpool City Raceway programmes available. 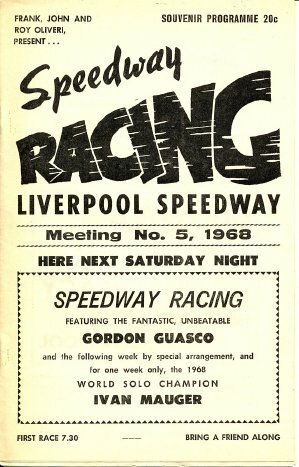 Item # LCR 001 - Jack Scott - Gordon Guasco riding - has bike results - $ 6.95 + p&p. 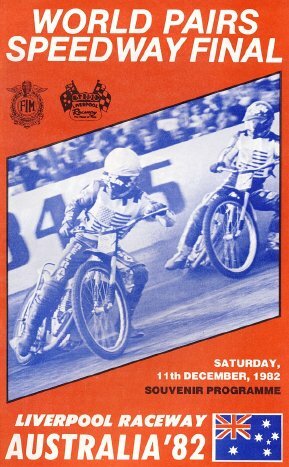 Item # LCR 002 - Gordon Guasco - Helmut Schippl riding - has bike results - $ 6.95 + p&p. 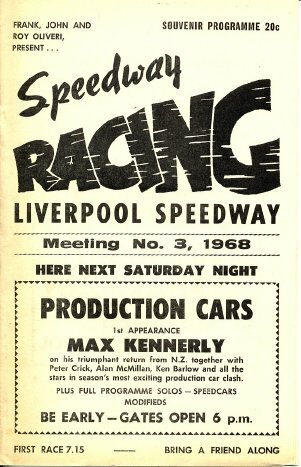 Item # LCR 006 - 1969-70 NSW Solo Championship - won by Jim Airey - has bike results - rider profiles - list of past major Solo titles winners - Micro Midgets - Sprintcars - Sedans - $ 8.95 + p&p. 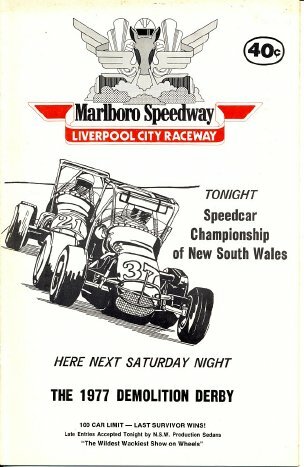 Item # LCR 007 - 1977 NSW Speedcar Championship - GP Midgets - Grand Nationals - Early Model Sedans - no results - $ 7.95 + p&p. 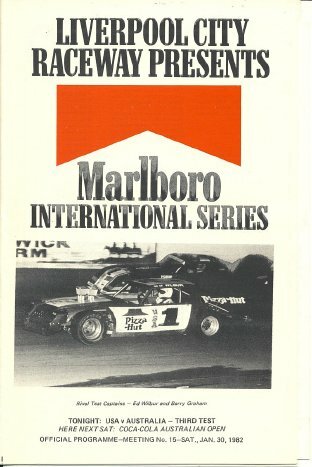 no results - $ 7.95 + p&p. 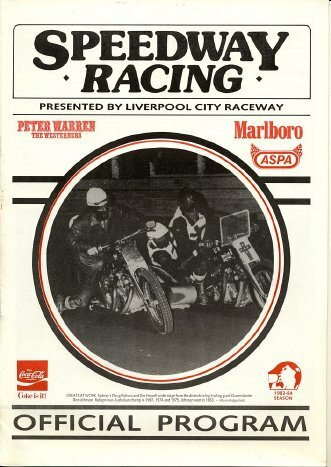 Item # LCR 010 - 2nd.Grand National Test - USA v Aust. 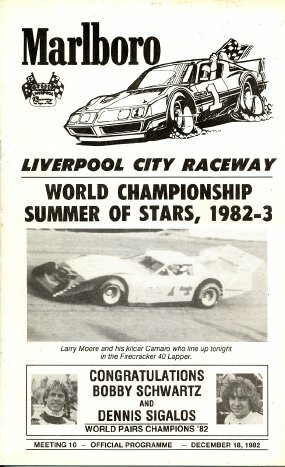 - the world's top drivers and cars - results - $ 7.95 + p&p. 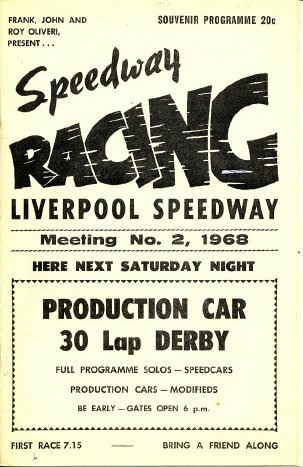 Item # LCR 011 - 3rd. 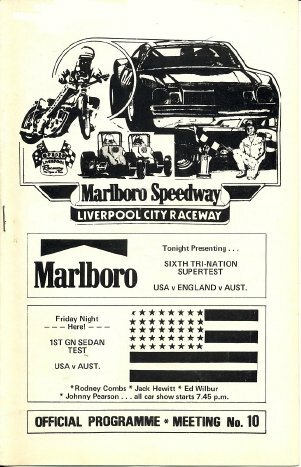 Grand National Test - USA v Aust. 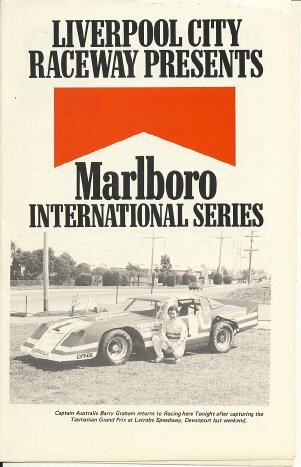 - the world's top drivers and cars - results - $ 7.95 + p&p. 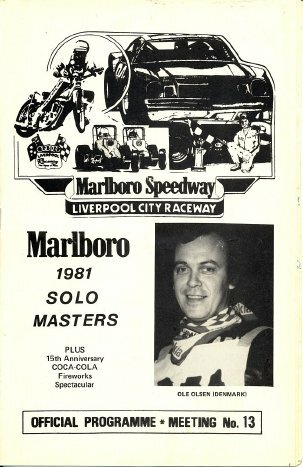 Item # LCR 012 - 1981 Solo Masters - top International Solo riders - Olsen - Sanders - Lee plus Top Sidecars - results - $ 8.95 + p&p. 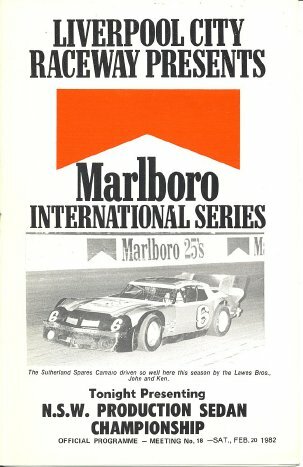 Item # LCR 013 - 1981 Late Model Sedan Championship - Grand Nationals - Stock Cars - no results - records list - $ 7.95 + p&p. 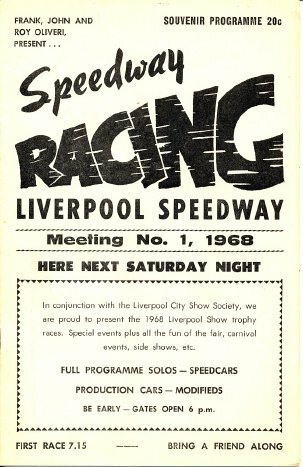 Item # LCR 014 - 3rd. 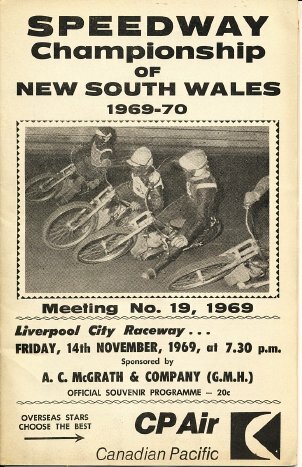 Solo Test Match Australia vs Young England - results - a very neat programme - $ 8.95 + p&p. 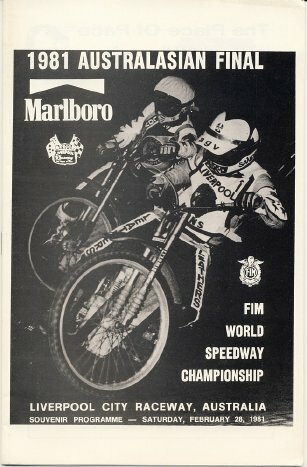 some of the world's top riders - $ 10 .95 + p&p. 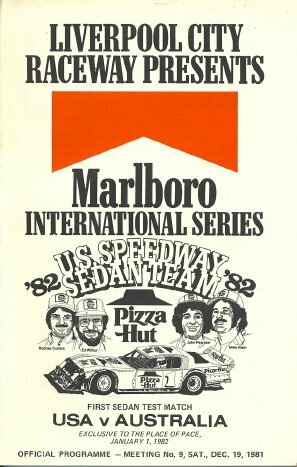 Item # LCR 016 - 1982 3rd. 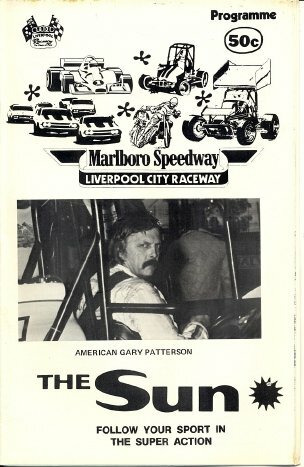 Test Grand Nationals Stock Saloons - GP Midgets - Production Sedans - results - records list - $ 7.95 + p&p. 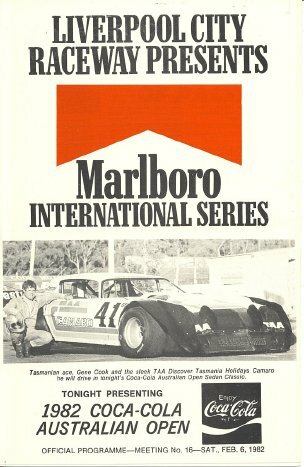 Item # LCR 017 - 1982 Coca Cola Australian Open - Grand Nationals - International drivers no results - $ 7.95 + p&p. 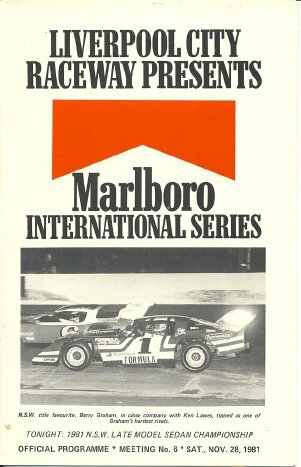 Item # LCR 018 - 1982 International Speedway Carnival - Grand Nationals - Speedcars - GP Midgets - no results - Production Cars - over three nights - top US drivers - complete list of track records - $ 9.95 + p&p. 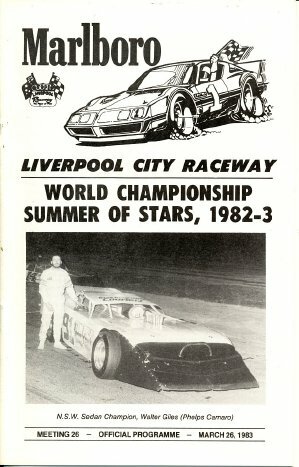 Item # LCR 019 - 1982 NSW Production Car Championship - Grand Nationals - Stock Cars - Stock Saloons - no results - $ 7.95 + p&p. 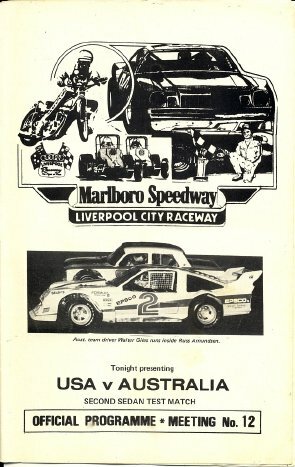 Item # LCR 021 - Grand Nationals - Stock Cars - Stock Saloons - GP Midgets - Production Sedans - results - $ 7.95 + p&p. 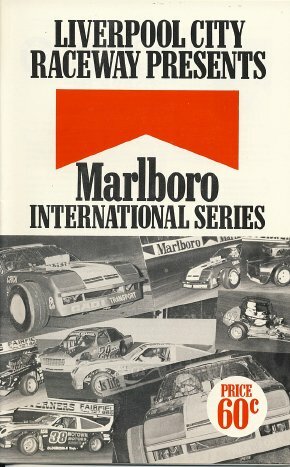 Item # LCR 023 - Grand Nationals - Stock Saloons Production Sedans - NSW Formula GP Championship - no results - $ 7.95 + p&p. 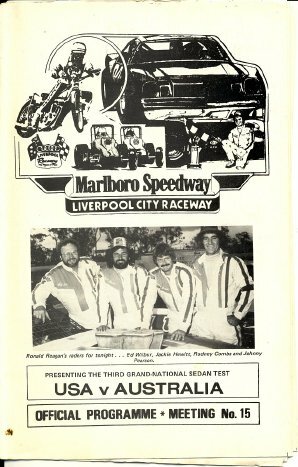 Item # LCR 024 - 1984 Sidecar Championship of Australia - A4 size programme - has results sheet - profiles - photos - list of past winners - $ 9.95 + p&p.